Floft studio has reinvented the way we light up our indoor and outdoor spaces by bringing a bit of Japan right to our doorstep. The brand uses a wide array of original artworks from cherry blossom to warli art infused with the art of origami to create lampshades. 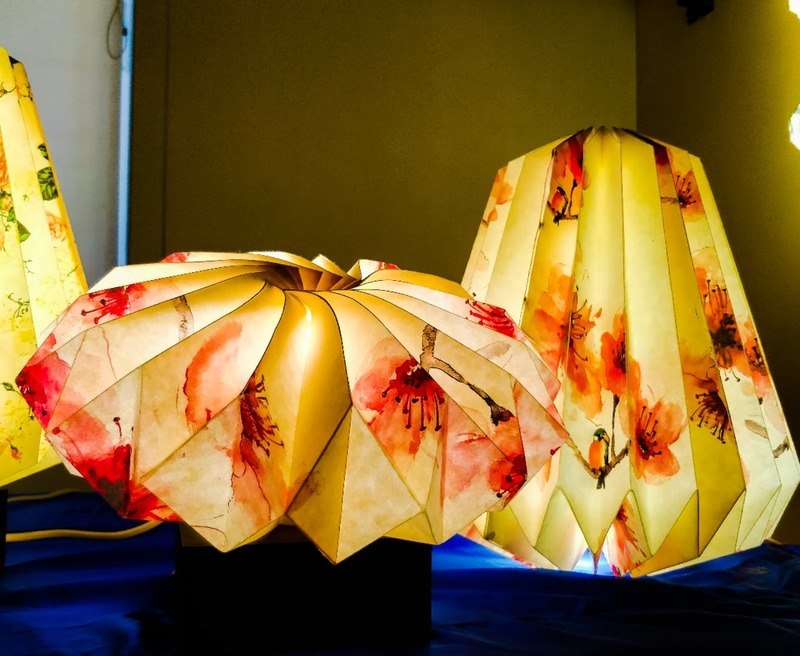 The highlight of these lampshades is that they are heat resistant and are made using eco-friendly bamboo paper. These lamps are also collapsible which makes them easy to assemble and mount. So, when you get bored or if you're moving houses, you can fold them and tuck them away neatly. These lamps make for the perfect gifts as well. So if you are looking for a beautiful ceiling lamp, a wall mount lamp or a table lamp that can light up your room, Floft's a great place to find one. Needless to say, these lamps can glow for a long time, are easy to clean and even easier to tuck away when not in use. Their different formats also allow for them to adapt to your room and either hang from the ceiling, stick to the walls or just perk up your study table. Oh, and extra points for them coming with bulbs (little joys) and being eco-friendly, obviously. The lamps can also be customised to an artwork, with size and shape of your choice. If we were asked though, we'd stick to the cherry blossom or the vintage flowers because they bring out the Origami folds so well.